Air New Zealand offers non-stop domestic flights to Kerikeri airport from Auckland, with connecting flights from Wellington, Christchurch, Queenstown and most other regional centres. With all Kerikeri airfares you can choose seat, seat+bag, flexitime or flexidate fare types. The scheduled flight time for Auckland to Kerikeri flights is 50 minutes, and return flights from Kerikeri to Auckland airport take 45 minutes. From Waitangi you can paddle up the river to Haruru Falls in a kayak or a large traditional waka (Māori canoe). Northland's comfortable sub-tropical climate makes it easy to enjoy outdoor adventures at any time of the year. It also means there's a wealth of fresh local produce and award-winning wines to discover. It's no surprise that this is where early European traders were welcomed by local Maori and chose to settle, leading to the birth of New Zealand as a nation under the Treaty of Waitangi. 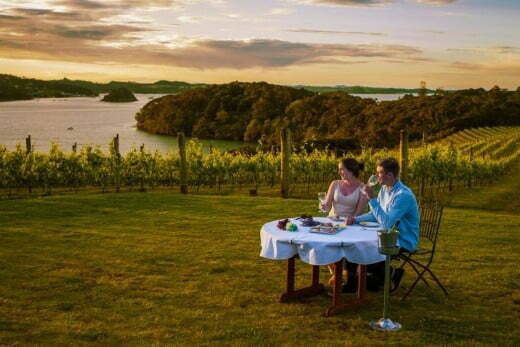 Waitangi Treaty Grounds is one of New Zealand's premier attractions. 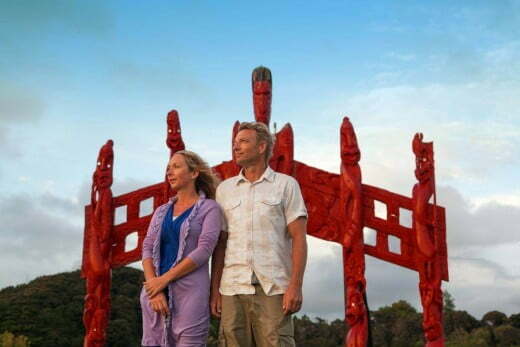 Apart from wandering the extensive grounds and enjoying sea views, you can explore an excellent museum, watch authentic Maori cultural performances, see beautifully carved Maori meeting houses and be awed by a large traditional waka (canoe). A day pass gives you access to everything this important historic site has to offer.